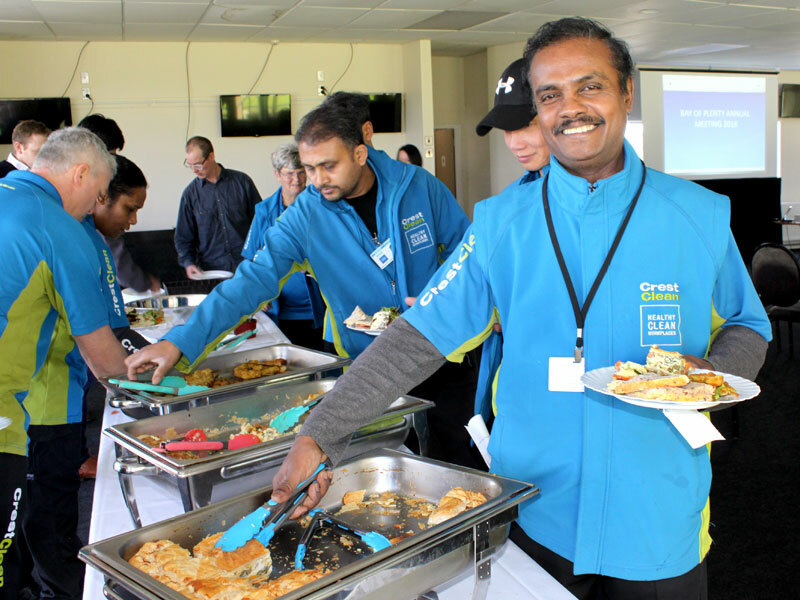 Lalith Degambada tucks into lunch at the recent CrestClean team meeting in Rotorua. If CrestClean looked to find which of its business owners has the longest commute the red hot favourite would surely be globetrotting chef Lalith Degambada. As well as owning a cleaning franchise in Rotorua, Lalith’s talents in the kitchen are in high demand at Sydney’s prestigious International Convention Centre, where he works as a senior chef. Whether he’s cleaning floors in his smart CrestClean uniform, or cooking up a storm in his crisp chef’s whites, the 57-year-old has become adept at juggling two totally different occupations that are 2,300km apart. The working arrangement has been a recipe for success, with Lalith crisscrossing the Tasman every couple of months, splitting his time between New Zealand and Australia. When Lalith is in Aussie his wife Dusha takes over, ensuring the cleaning business remains on track and their CrestClean customers are all looked after. 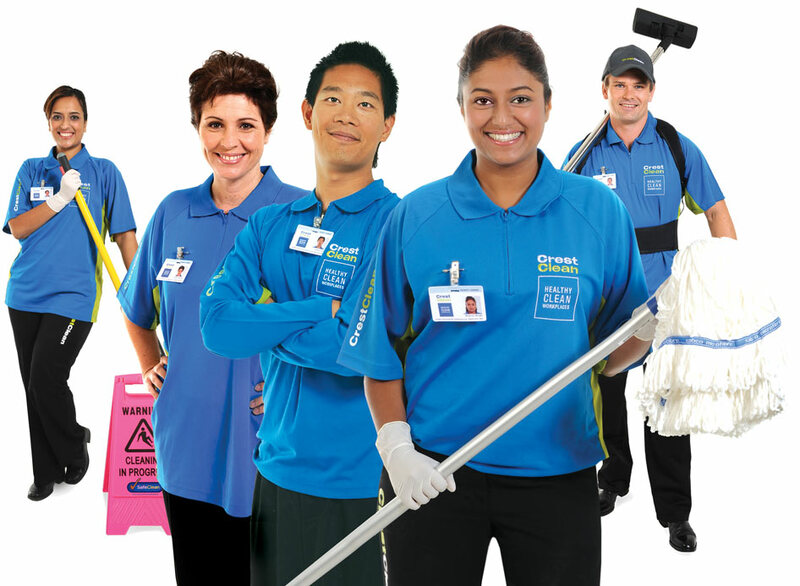 Bill Douglas, CrestClean’s Rotorua Regional Manager, says Lalith is always cheerful. “He’s always got a smile on his face. He’s really interesting to talk to and hear about all the places in the world where he’s worked. Lalith and Dusha moved to Rotorua when he got work as an executive chef at the city’s Holiday Inn hotel. They joined CrestClean to fulfil an ambition to work for themselves, says Lalith. Since joining CrestClean four years ago the couple have increased the size of their franchise and now run a six figure business. “The return on your investment with CrestClean is really good,” says Lalith. As a culinary maestro, Lilith is at the top of his game – in Sydney he’s one of 20 senior chefs in a large team of chefs serving world-class cuisine to convention centre diners. He spends up to eight weeks at a time in Australia before returning to Rotorua. As well as New Zealand and Australia, he’s cheffed in Sri Lanka, Kenya, Maldives, Dubai, Qatar and China. Lalith has his sights set on one day working as a chef in Japan. But in the meantime perhaps the aptly named Cook Islands could serve to tick off another country and be closer to home for the ambitious culinary whizz!